We make stylish chains used as handbag chains, belt chains, shoe chains, dog chains etc. Materials include aluminum, copper, iron, white iron, plastic and more..
We offer Drive Dog Chain to the clients. 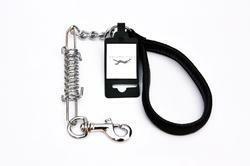 Noted Dog Chains will be your assistant in training your pet & evening walk with your furry friend. Rate is on number of chain. 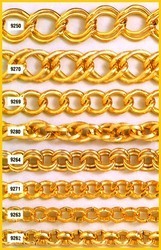 All types of dog chain are available in all sizes and numbers.